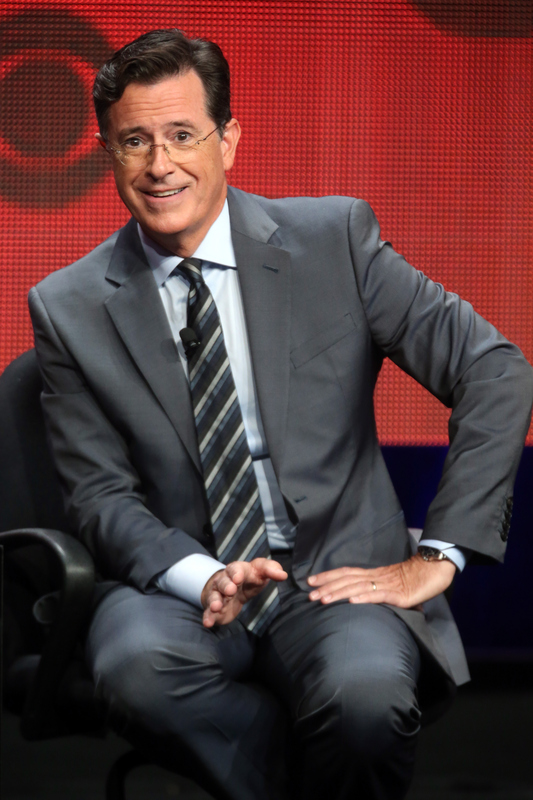 When it was announced that Stephen Colbert was taking over for David Letterman on The Late Show, and ending his reign over at The Colbert Report, there wasn’t much that could console me. I think I watched past clips of “The Word” for, like, six hours straight that night, but even that didn’t work. So, when I saw the recent lineup for the first week of Late Show guests, it was the closest I have come to being okay with Colbert playing himself and not that trumped up Republican character from the Report. Because the lineup — although male-heavy — promises something different than most late night television shows that we’re used to. Although he has a sprinkling of big Hollywoods stars mixed in there, most of his lineup shows more of the Colbert that we know and love. Think about all of the other late night shows. They tend to totally maximize on the Hollywood glam power by having on huge actors, comedians are at the top of their game, and political big wigs who will draw big numbers. Remember that time Bill Clinton played the saxophone during his presidential run? But there was something different happening on The Colbert Report. Stephen Colbert often had on relatively normal guests, like academics who had written books, CEOs who were making big changes, and lesser-known politicians with important things to say. And I loved that about his show. I felt like I finished every episode of The Colbert Report having learned something. And having laughed so hard my stomach hurt. So when I saw that The Late Show lineup isn’t all celebrities, I got super excited. There are CEOs! There are politicians! There are authors! It’s like the show is combining the best of both The Late Show and The Colbert Report, and that seriously couldn’t make me any happier. Sure, there are the big wigs like George Clooney and Scarlett Johansson. They’re nothing to shake your fist at, I know. But then there are also people like Uber CEO Travis Kalanick and Stephen King. And there’s Tesla CEO Elon Musk and Jeb Bush. OK, maybe I’m giving myself away as a huge dork here, but I’m so stoked that The Late Show is going to feature people who actually have something interesting to say rather than people who are mostly there to promote a new album or film. I’m sure there will be plenty of promoting happening on the show, but right now it seems like there is enough of the old Colbert in this line up to keep his fans happy. I mean, the only thing that would make me happier is if Colbert broke into character every now and then and showed us some of that ol’ Colbert glory. Fingers crossed that he does! Check out the entire line-up in all of its glory.